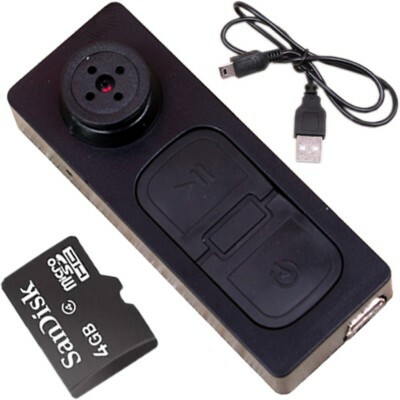 Get great discount on SJ SD366 Button Spy Camera | Online India shopping best deals, discount,coupons,Free offers. Product Features: This product is the first high - definition digital camera wih a separate recording and camera functions MINI DV, TF card memory, you can take photos and high-definition screen, this product is simple, small and exquisite, beautiful and practical, easy to carry, is home security, education, essential areas of life. Utility, well all the customers! It is equipped with vibration function..The product SJ SD366 Button Spy Camera is from the famous brand SJ. The product is currently available with the amazing discount from FlipKart.Currently a discount of 61.0% available for this product. Great discount for this product which has the original price of Rs.2599.0 and you get these amazing products for a discounted price of Rs.994.0. Hurry up. Stock may be limited.